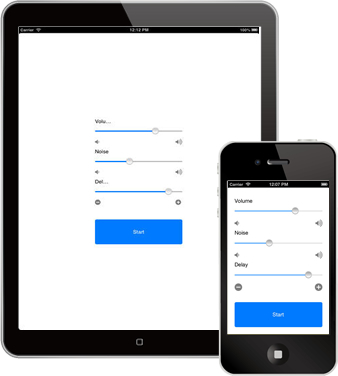 DAF + N is an application that output/feedback your own voice to yourself, after a little time delay. It is also possible to add noise when it is feedbacked to you. Please use this for training to reduce dysarthria such as stuttering. It might be effective for person with Parkinson’s disease who has difficulties in speech control. Please use earphone or headphone, because a howling will occur if it is not used. Purchase and download from App Store.